In the last couple of years, everyone’s ended up being an online expert. No, they’re not breaking right into computer systems but they actually depend on something a lot more serious. They are encouraging you to take a daily product you use such as toothpaste and attempt to clean up your antique sterling with it. But the product is not even good to use for your antique silverware. 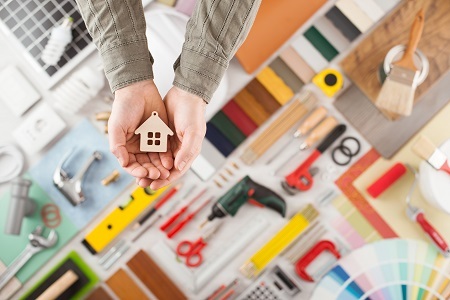 Nevertheless, people are still hooked in some DIY hacks that help in maintaining their home. We asked a handyman, several DIY hacks for specific home maintenance solutions. Covering your showerhead in a vinegar-soaked fabric overnight to eliminate limescale. This method absolutely works. You will surely be happily surprised at your now clean and limescale-free shower head when you wake up the following day. Most importantly, you will be saying goodbye to rubbing and using harmful chemicals just to remove limescale build up. An empty toilet tissue tube could be repurposed as vacuum cleaner attachment. Wish to clean all those cracks and crannies your vacuum cleaner attachment is not versatile enough to reach? Hold an empty cardboard tissue tube over the entire nozzle of your vacuum cleaner and used it as an additional attachment. A squeegee is a fantastic device for grabbing animal hair from the rug. The squeegee blade takes cat and dog hair nice as well as quickly. Actually, it functions pretty well in removing hair off the couch. Discover a toilet leak using colored powdered juice. If you think you may have a toilet leak, use a packet of colored juice and pour into the toilet tank. Wait till the dark-colored juice dissolves up to 30 minutes. If you come back with your toilet having the same color as the colored powdered juice, then you know you have a leak. Perfect edge caulk using painter’s tape. If you have been wondering about how to get a straight line when caulking, all you need is a painter’s tape. Run a straight line using the tape along the place you will put caulk and this serves as your guide. Just make sure to remove the tape while the caulk is wet or you will run the risk of peeling off even the caulk. If you recently found out that you have a broken light bulb that is still attached to the socket, worry not. You can still remove it using a potato. Simply cut the potato, push the softer side into the broken bulb and turn it counterclockwise. One more thing, just make sure to use protective gear and turn off the main switch before doing this hack. While there are several home maintenance job that you can do yourself, you will still need the services of a professional handyman for tougher jobs. Call Handyman Conway to provide you licensed and insured handyman, ready to work for you.